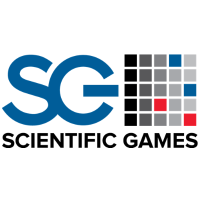 Scientific Games Donates $125,000 after Hurricane Michael! As of lately, there’s only good news coming out of Scientific Games (SG) offices! With that said, the company dominated headlines again after making a generous donation to the farmers in Georgia affected by Hurricane Michael. So without further ado, let’s examine the recent charity act! As we all witnessed Hurricane Michael destroyed many Georgia farms. But one gaming company has now stepped up to help with relief efforts. So why did SG decided to help the farmers? Well, SG has locations in NV, IL, NJ and in GA although SG didn’t help out in GA only because they have an office there. They also sent $100,000 to the panhandle of Florida as well. Which, we all know received the most damage. According to sources, damages have now reached $15 billion. So at this point, every single dollar helps! In conclusion, there’s nothing better than having a company like Scientific Games in your backyard. You never know when disaster might strike. But when it does, at least there are companies out there like SG who will step up and help rebuild. Not to mention, New Jersey is also prone to hurricanes, and now that the season is here, at least we have a company like SG in our corner! With that said, salute to SG for demonstrating real leadership in a time of crisis. We’re lucky that you also call New Jersey home and this act of kindness will never go forgotten here!